Life becomes meaningful when you care about others”. A Quote which became symbolic of the class of 2014- IBDP. 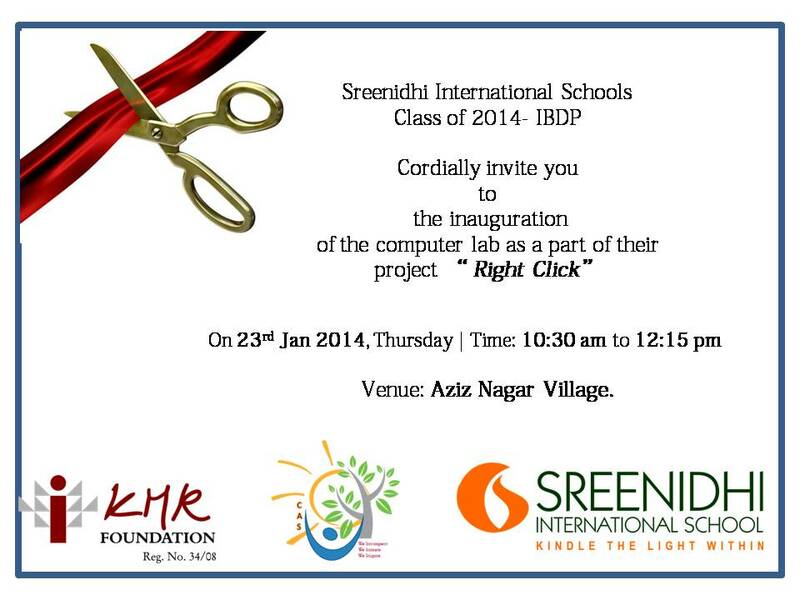 The Aziznagar Village Computer learning Centre was a dream our students lived together, 2013 Fiesta was the beginning of the same, on the 23rd, January, 2014 the lab was inaugurated by SNIS Students and Village High School Students backed by Chairman Sir and all SMT members. The task has been gratifying but not without challenges, each step has been a new learning for these young minds. 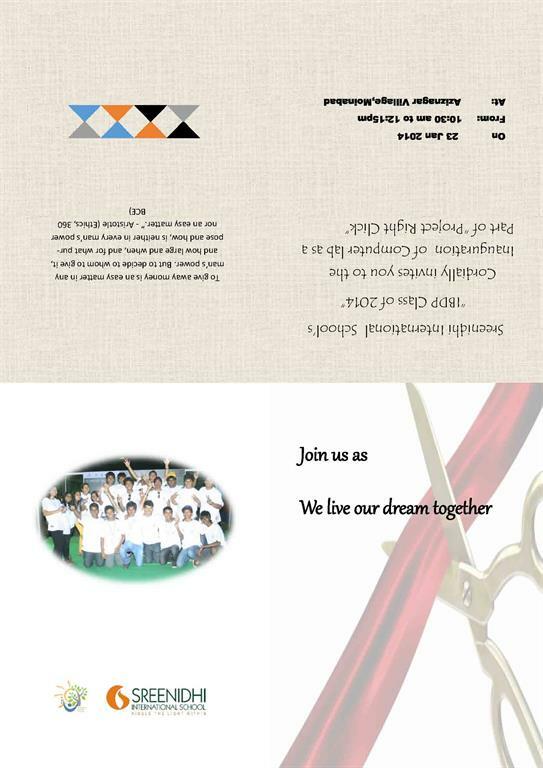 We had surprises along the way, some of the students outshined in their endeavours by living the ethos of CAS. 12 IB students will carry back with themselves this unforgettable moment, and they will always take pride in their accomplishment. Project Right Click has taken shape and what is to follow will be an ongoing development and nurturing of village students with regards to technology, they now have a platform to match shoulder with other privilege groups.